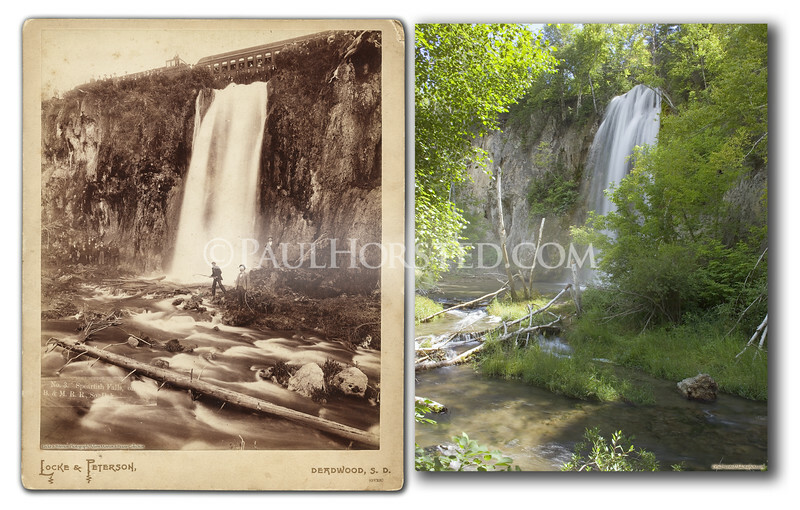 Locke & Peterson image of Spearfish Falls in Spearfish Canyon, 1890's. Note excursion train parked over top of falls. Historic image courtesy Adams Museum & House. ©Paul Horsted, All Rights Reserved.